This new fully air-conditioned store for the convenience of our customers. This new store will shine like a beacon of light in Savusavu: Courts CEO Priyaraj Munasinghe. With the opening of the Courts Fiji Limited store at Naka­ma yesterday, people of Sa­vusavu will now have more shopping options. The store is on two floors spaciously set out around 1500 square metres. The store is set up with modern fa­cilities to maximise the convenience and comfort to shoppers. Taking shopping experience to the next level for its customers, the new bigger and better Courts Savusavu store features departmental show­rooms. These showrooms include Best Buys for Business, Essentials, Cyber World, SportsWorld and an enticing “Coffee @ Courts” with amazing views of the marina and Savusavu Bay. This is a first ever coffee shop in a Courts store which will offer custom­ers a relaxing atmosphere to enjoy a hot beverage while taking a break from shopping. The new store has a wider range of world renowned brands and products. Courts Fiji Limited chief executive officer Priyaraj Munasinghe during the opening said their customers in Savusavu were requesting them that they needed better and larger prem­ises. “This new fully air-conditioned store for the convenience of our cus­tomers,” Mr Munasinghe said. “This new store will shine like a bea­con of light in Savusavu. “This is the first time in our entire Courts chain stores that we are of­fering a boutique coffee shop for our customers. “For them to relax and have a deli­cious hot beverage, when they want to take a short break from shopping. “We are very customer focused and we want to maintain high standards of retailing,” he said. Tui Nasavusavu Ratu Golea Lovod­ua who was the chief guest thanked Courts for choosing Savusavu. “I was told that customers wanted more items and more space for shop­ping,” Ratu Golea said. 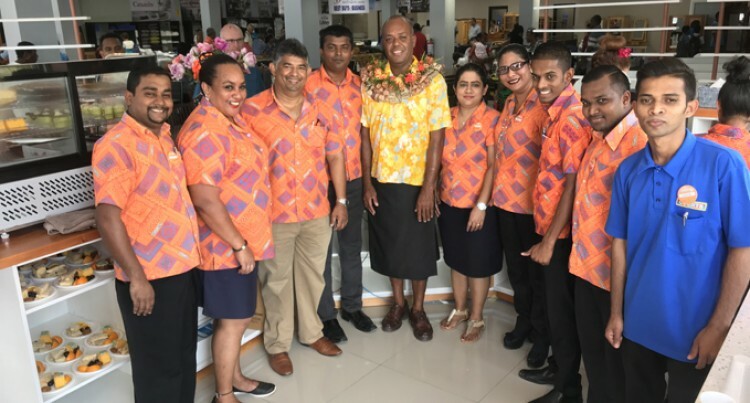 “This new investment has not only added a new face to Savusavu, but also created employment and new shopping experience.